The long awaited Launch Party is finally here. 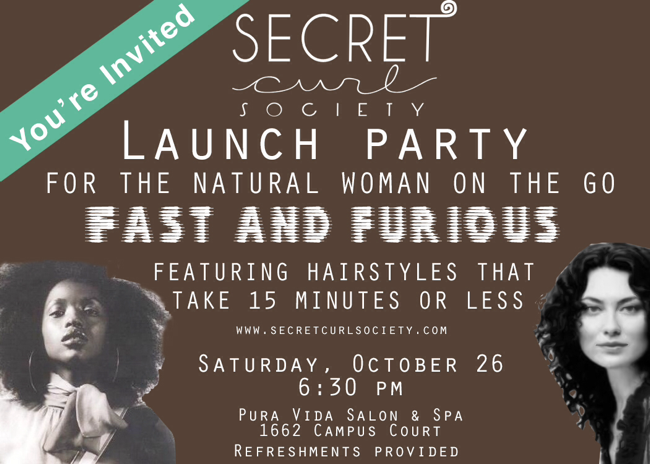 This day is a day to celebrate the Secret Curl Society and it’s mission of a Empowering women and girls one curl at a time. The evening will jump off with a runway show showcasing diverse curls, followed by wellness vendors to enrich women’s lives and concluding with a demo segment of retro updos! More updates to come!